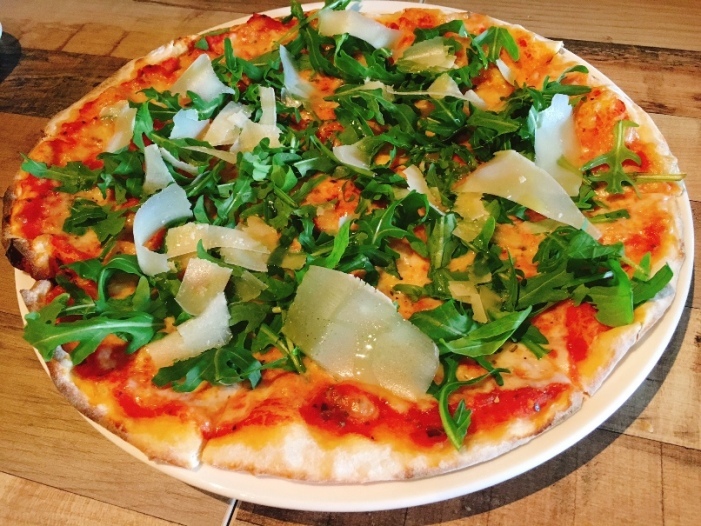 The Rocket Salad Pizza rocks at Modi & Rosa, this thin crust pizza heaped with rocket leaves and shavings of parmesan, drizzled with truffle oil. The crust was crispy, the flavours were perky and addictive. A selection of antipasti had got us started at lunch, at this newly opened Italian restaurant and wine bar in Glo Damansara, Petaling Jaya. 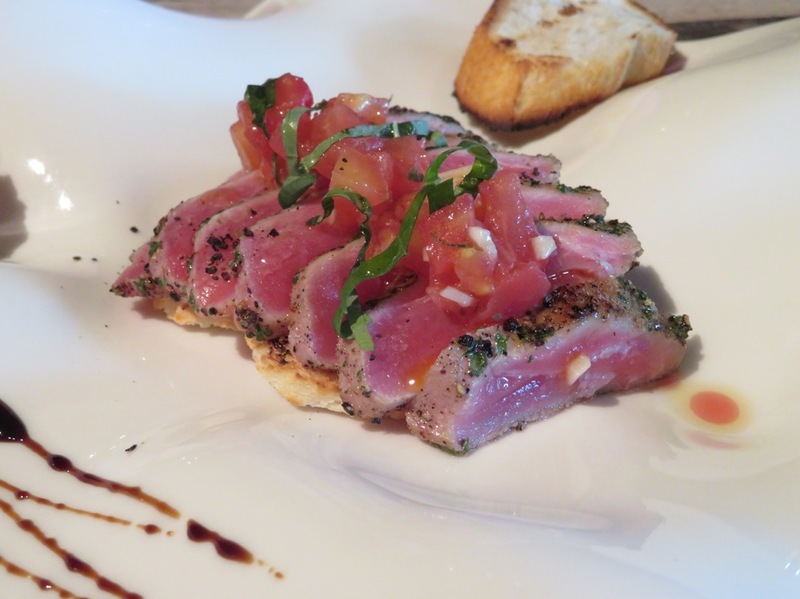 First it was the Tuna e Tartare Pomodoro or Pan Seared Tuna with marinated tomatoes served with toast, then the Buffalo Mozzarella Cheese with fresh tomatoes, oregano, basil and extra virgin olive oil. Both were gentle and fresh tasting, the tuna perfectly smooth and touched with herbs, and the smooth and creamy mozzarella. Then it was on to the Black Angus tenderloin on toast with sour cream and topped with Mexican chilli that was so good. 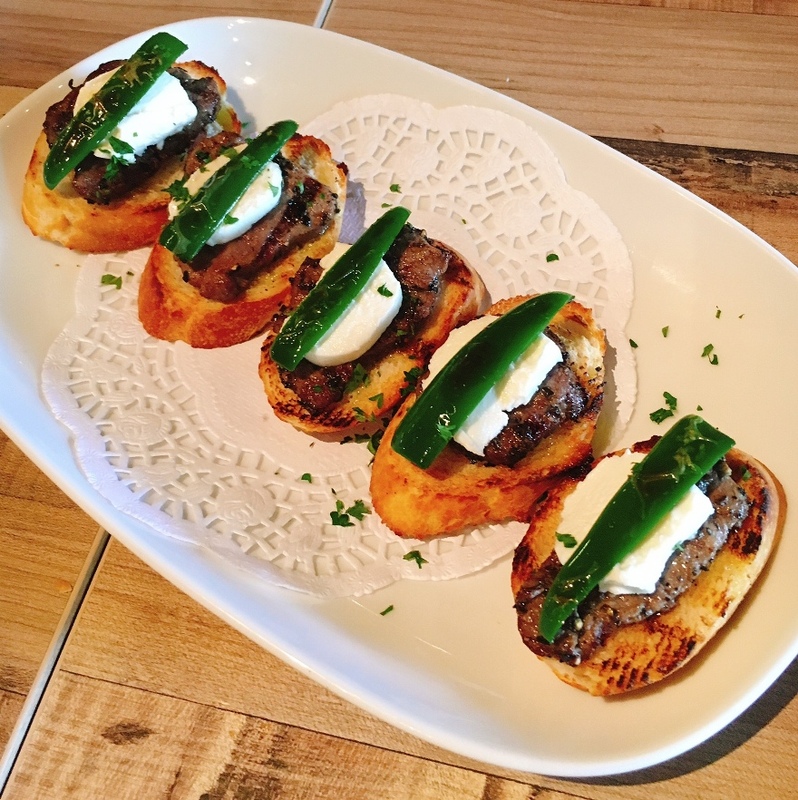 I bit through chilli, then sour cream resting on juicy tenderloin, through crispy toast in a tapas special for the day. 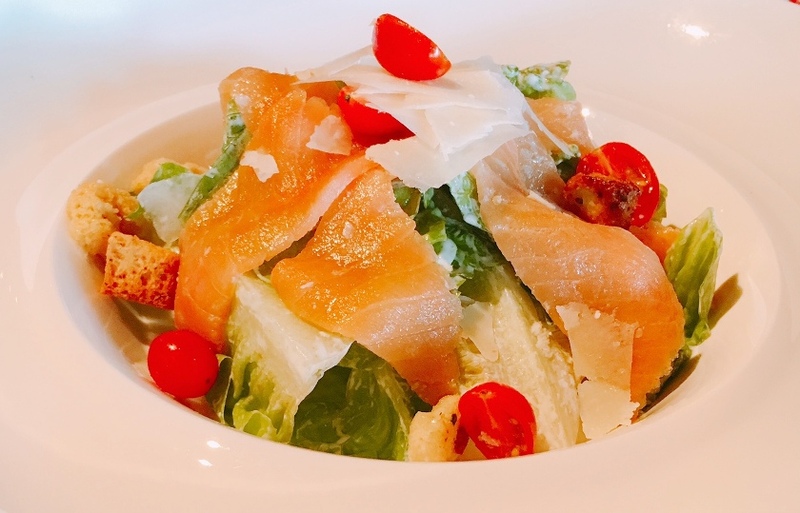 The feel-good factor continued with the Insalata alla Cesare or Caesar Salad with salmon. The downside was the minestrone soup that was unfortunately too salty. Modi & Rosa is a family restaurant that promises fresh and hearty Italian fare, courtesy of its owner Cavaliere Modesto Marini, the restaurateur who started Modesto’s 20 years ago, and more recently Marini’s on 57. It’s a family restaurant with wood and leather, and colourful Italian paintings in its spacious interior that includes a well-stocked wine bar. There’s a wide area for alfresco dining outside. We were on to pasta, and the Linguine alla Modi Rosa (obviously a signature dish) is an excellent choice. It’s the Italian Cartocci style baked pasta with seafood. The pasta is usually tossed in tomato and cream and wrapped in paper parchment and baked. 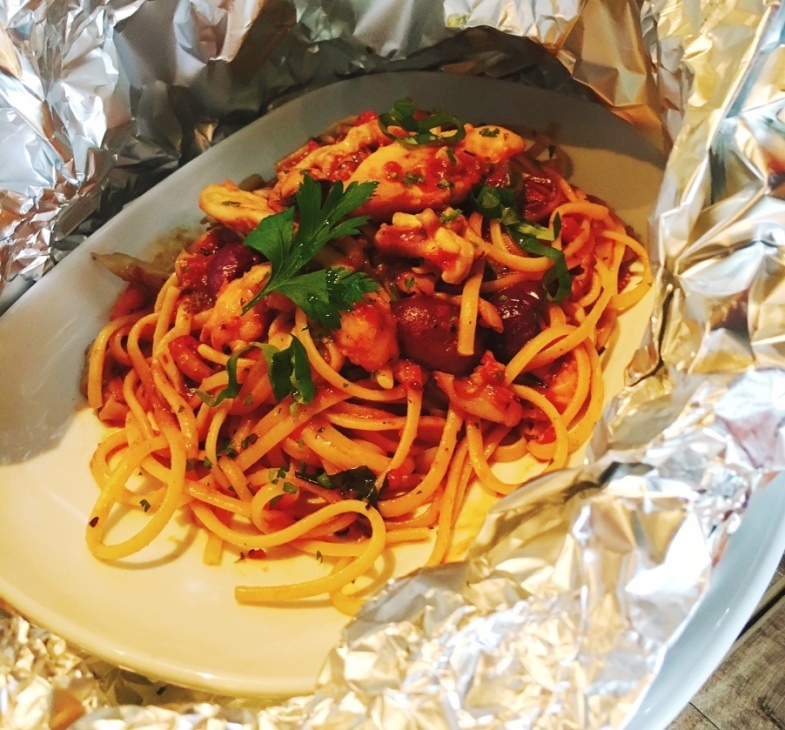 In this case we had a foil-wrapped parcel that opened up to release delicious aromas and seafood flavours that embraced the linguine together with capers, olives, onions, tomato and a little chilli. You can expect al dente pasta here, not “soft” pasta to pander to local taste. 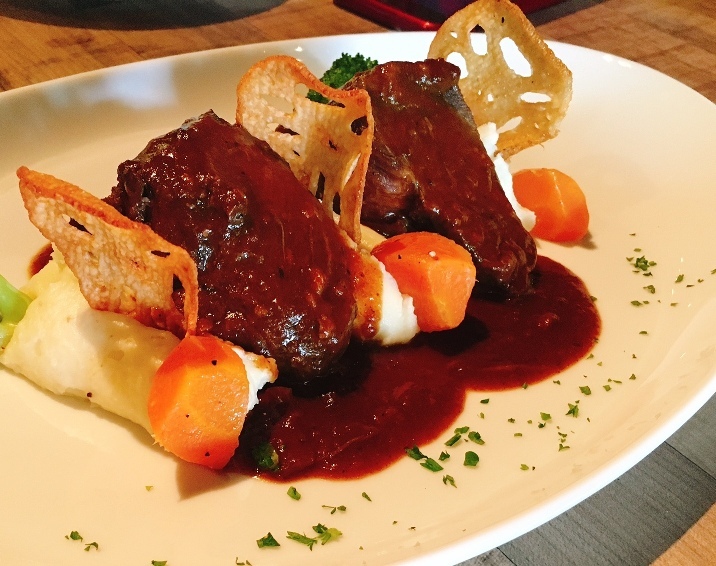 Branzino Amalfi or Oven-baked Mediterranean sea bass with Italian breadcrumbs, and the hearty Guancia di Manzo or braised Wagyu beef cheek with beef jus, served with truffle mashed potatoes were our main courses. 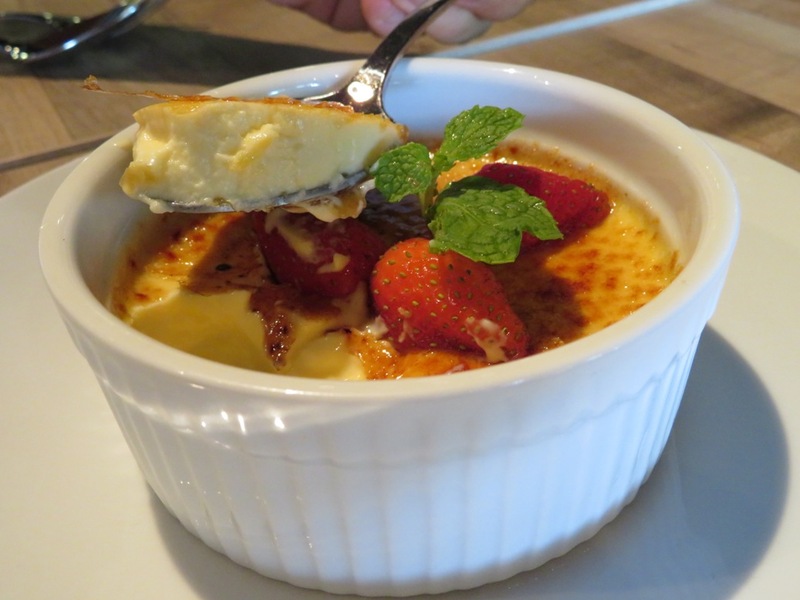 The Crème Brulee was a textural delight – through the caramel crackling was a creamy confection with a sublime mouthfeel. 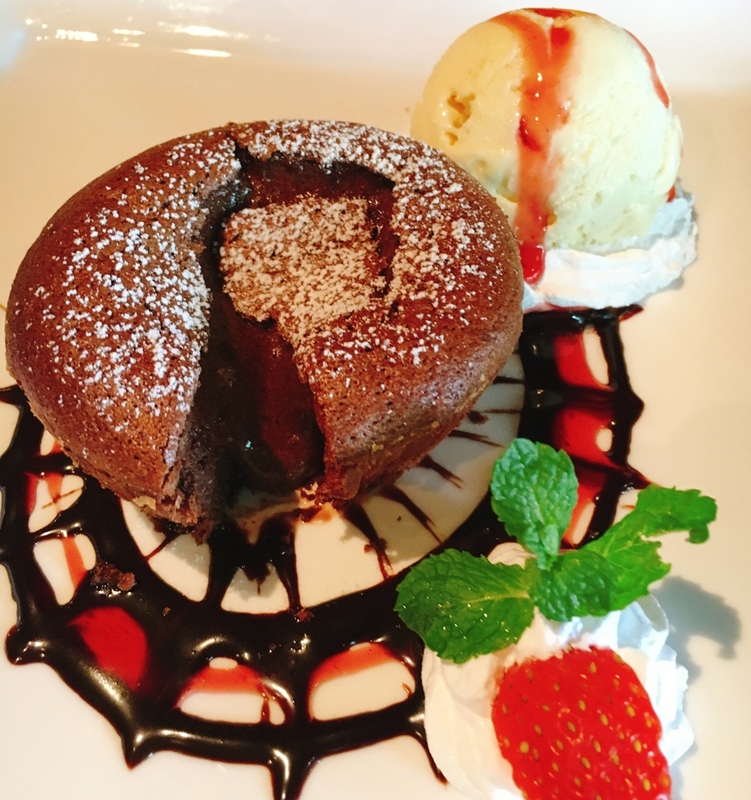 Our other dessert was the chocolate lava cake with vanilla gelato, with chocolate flowing out at the touch of a knife. The restaurant has lunch specials at RM38++ and a kids’ menu at RM18++, in addition to its main menu. Happy Hours are from 3.00pm to 9.00pm daily. Modi & Rosa is located at Glo Damansara Mall, LG.06, 699 Jalan Damansara, Taman Tun Dr Ismail, 60000 Kuala Lumpur. It is open daily from 10.00am to 10.00pm. For reservations, please call +603 7733 1719 or email reservations@modirosa.com.